The secret is out! I’ve been hiding this project from you all for a few months now. This, my friends, is my official 2015 Craft and Hobby Association showpiece for Cousin Corporation of America. 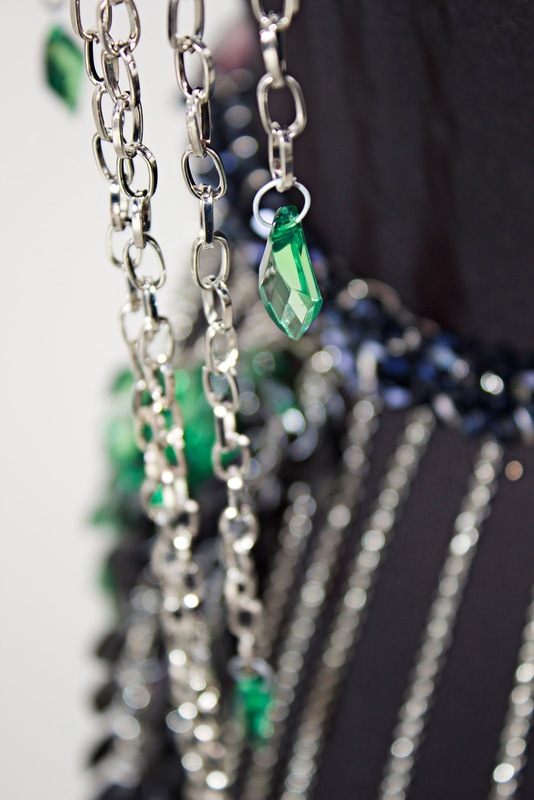 This chain dress, tiara and ring was made from 100% Cousin products. The theme for the Cousin booth at the 2015 CHA show in Anaheim was Fairytale. 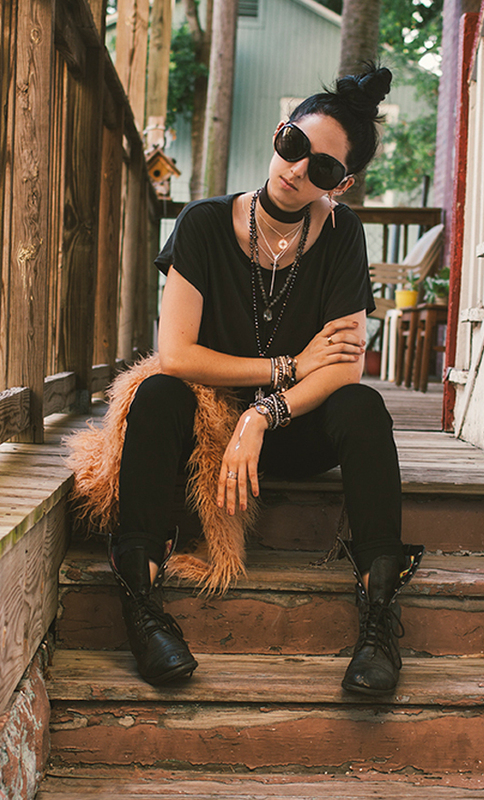 So, my job was to make a dark villain-type ensemble (right up my alley – anything goth). As always, I started with my color palette. I think getting a “color story” or palette together is extremely helpful and a great starting place for any project. Seeing that this was a villain look, I immediately went with a palette of silver, black, green and purples to bring about a mysterious, dark scheme. Then, the beads. 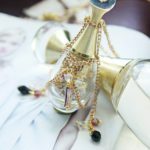 These acrylic shard beads were perfect for adding sparkle but with edge, because of the shape. I also chose black glass crystals for super luxe glam. I was inspired by the Givenchy 2013 Fall RTW collection, with those “illusion” dresses. 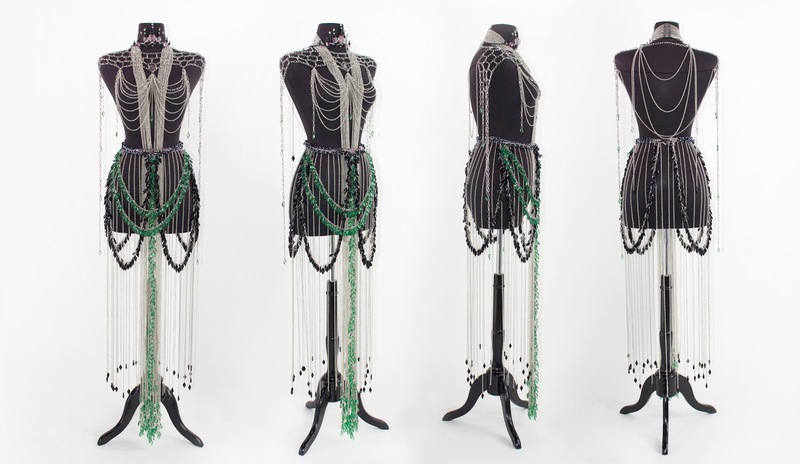 I mimicked that by adding beads at the very bottom of the skirt, and having a trailing front panel with bright green beads. I thought it gave it a “floating” look. 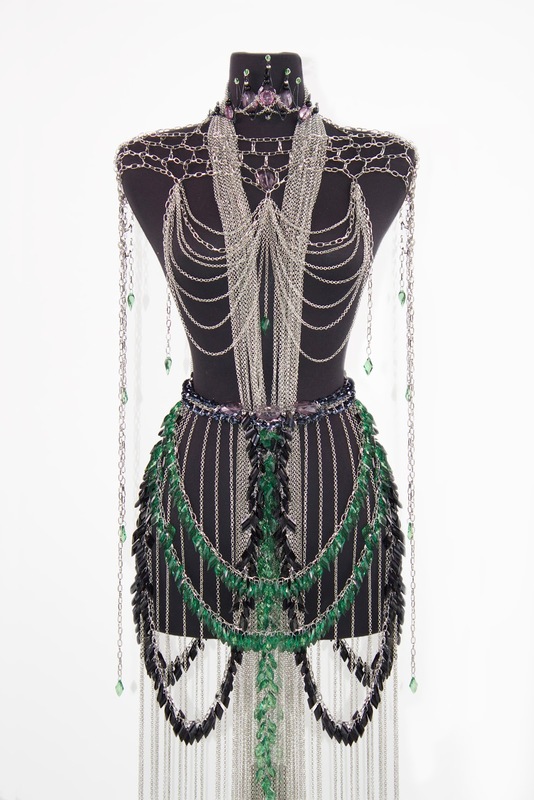 There are actually 4 pieces to this dress; the halter top, the skirt, the beaded belt and the cage shoulder overlay. I started with the halter top (which connects to the front draping panel) by linking large segments of wire together and attaching in the back with a large magnetic clasp. I then made the skirt, holding the “floating” chain drops and swags. 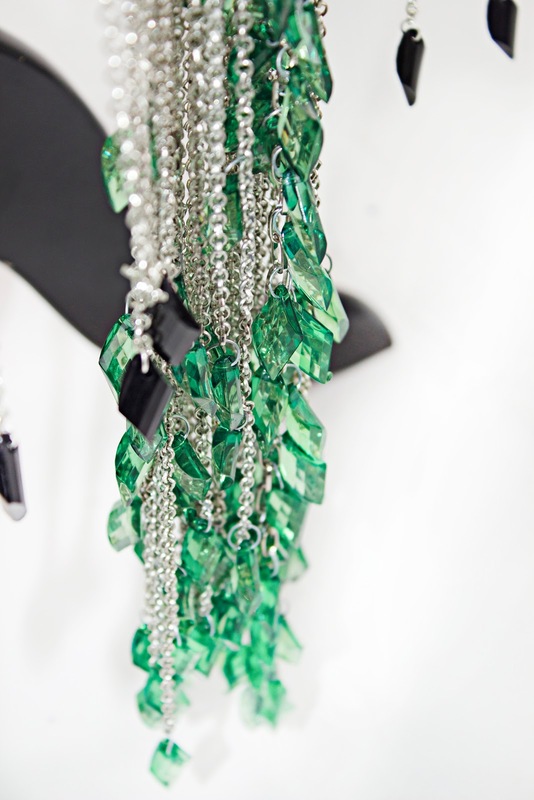 The most tedious part was adding each shard bead onto the links with jump rings – yes, it took a while! 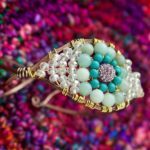 The beaded belt was made by weaving together chain, wire and crystals, similar to the technique used in my Woven Chain bracelets tutorial. Finally, I made the cage top by measuring, linking, and cutting wire. 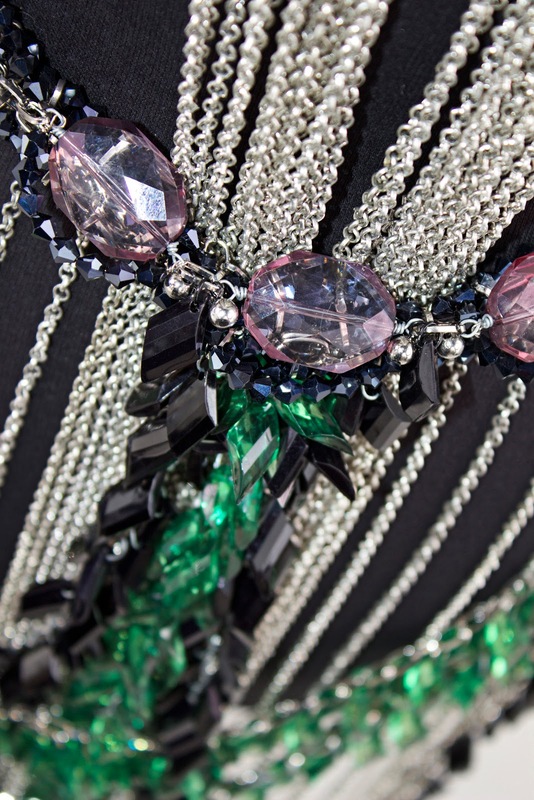 The ribcage like pattern was made with chain swags, and the shoulder drops were added for an elegant feel. 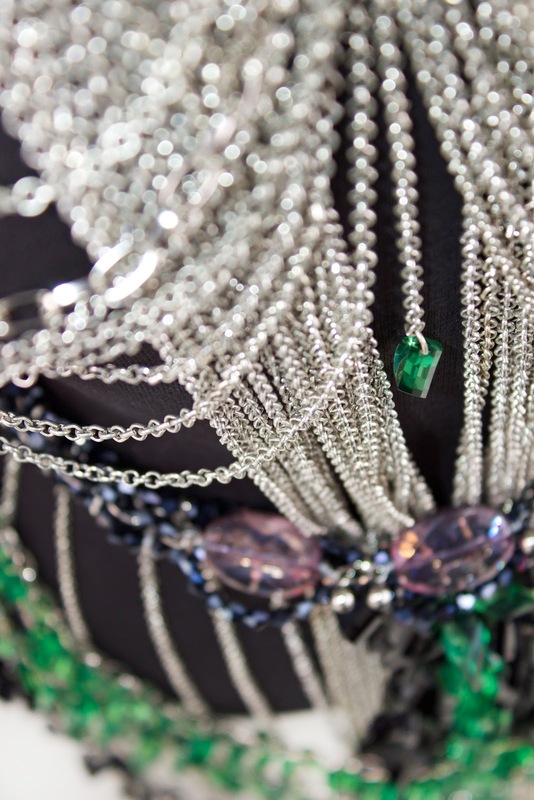 Beads upon beads upon beads…. 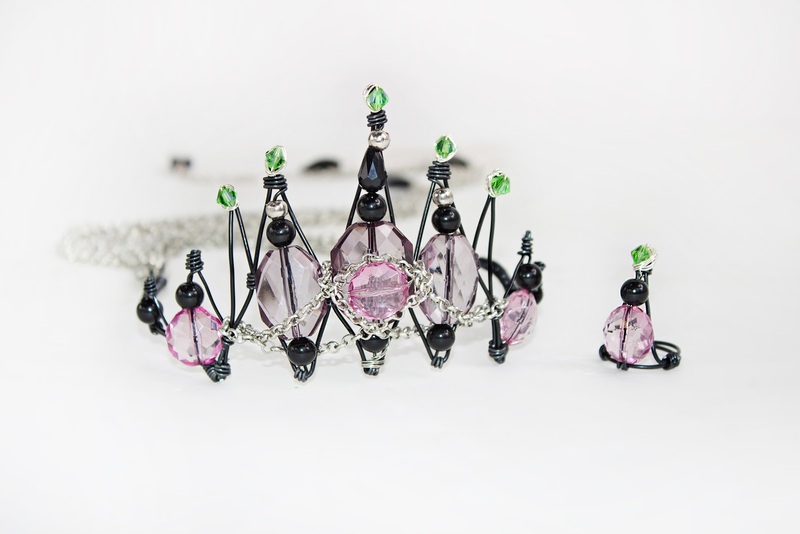 Having some materials leftover, I created this wire tiara and ring. 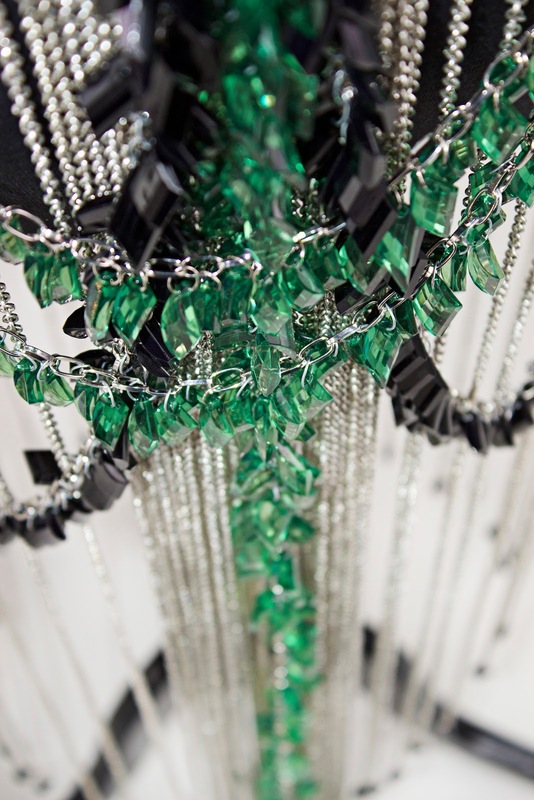 The tiara has a chain swag back and is completed with bright green crystal “spikes”. Perfect for any fairytale villain! The belt might be my favorite part; I’d love to even wear this with a black oversized tee or maxi dress for gothic sparkle. Even though I can’t have this one, I might make another- stay tuned! Finally, this is my original sketch. I was thinking I’d be doing a “fairy”, not villain look. I wanted a tulip type flirty skirt and halter top. 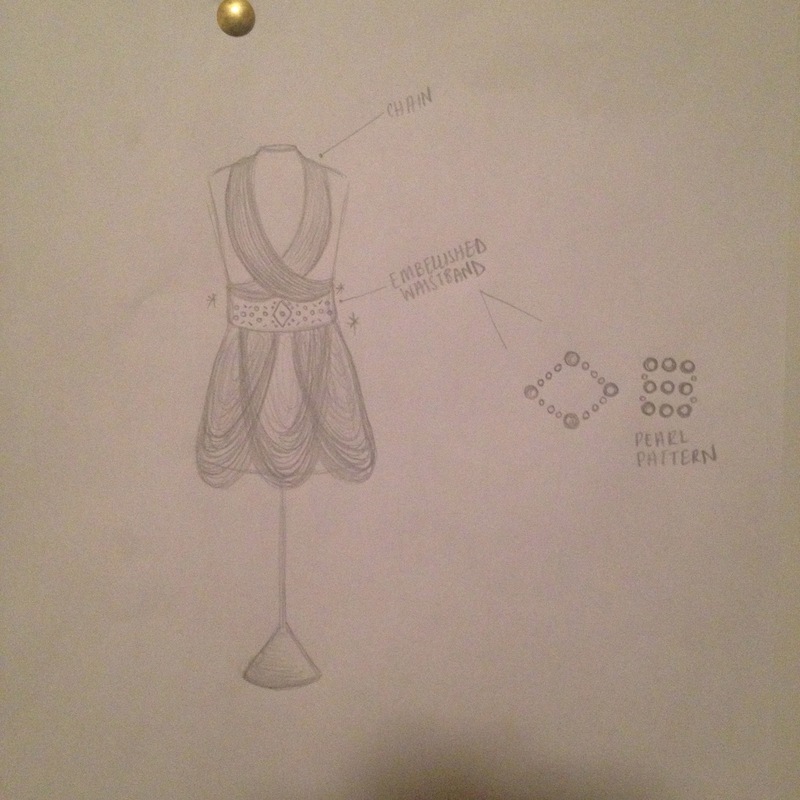 Therefore, the dress was going to be shorter, use pearls as a waistband, and have a Balmain Winter 2012 look to it. 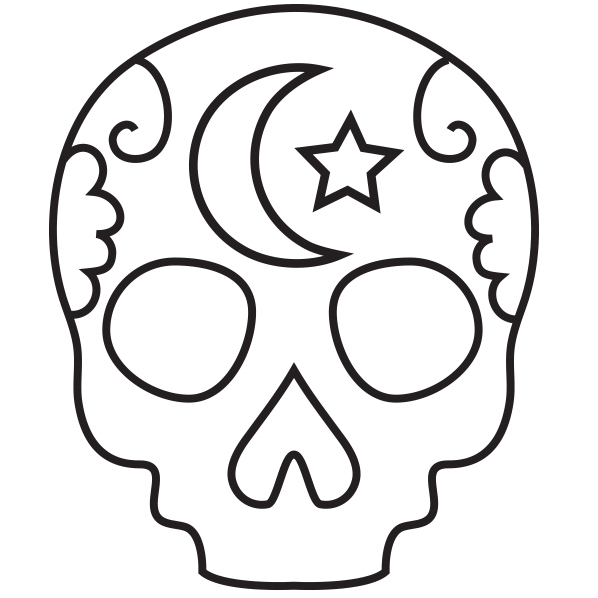 I kept some of the same elements, but was super glad I could go more goth with the design. 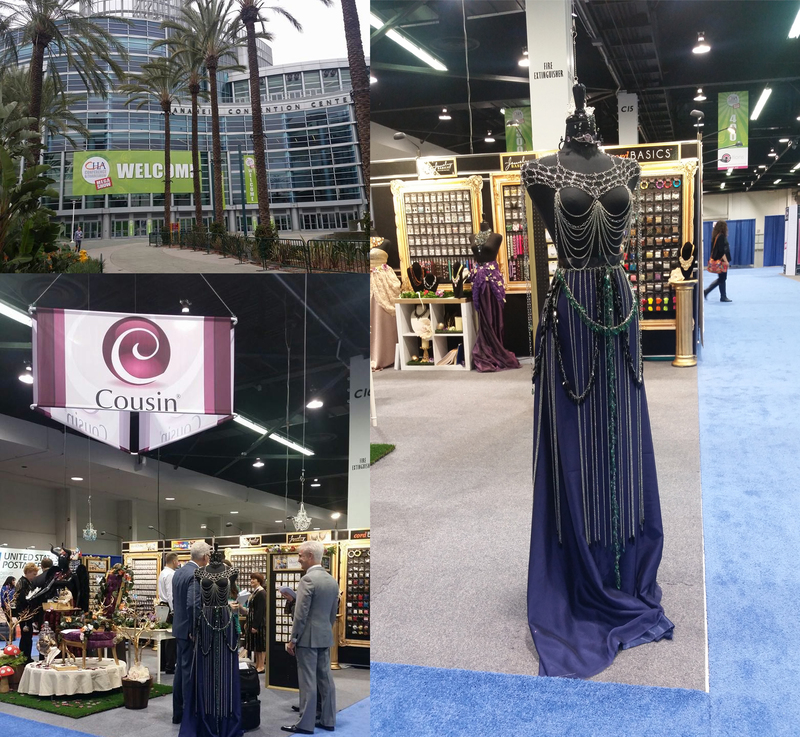 Here is an – altered (by Cousin) – version of the dress showing at the Cousin Corporation booth at the 2015 Craft and Hobby association show in Anaheim! Thanks to fellow ambassador Dawn Doucette for sending me these pics! 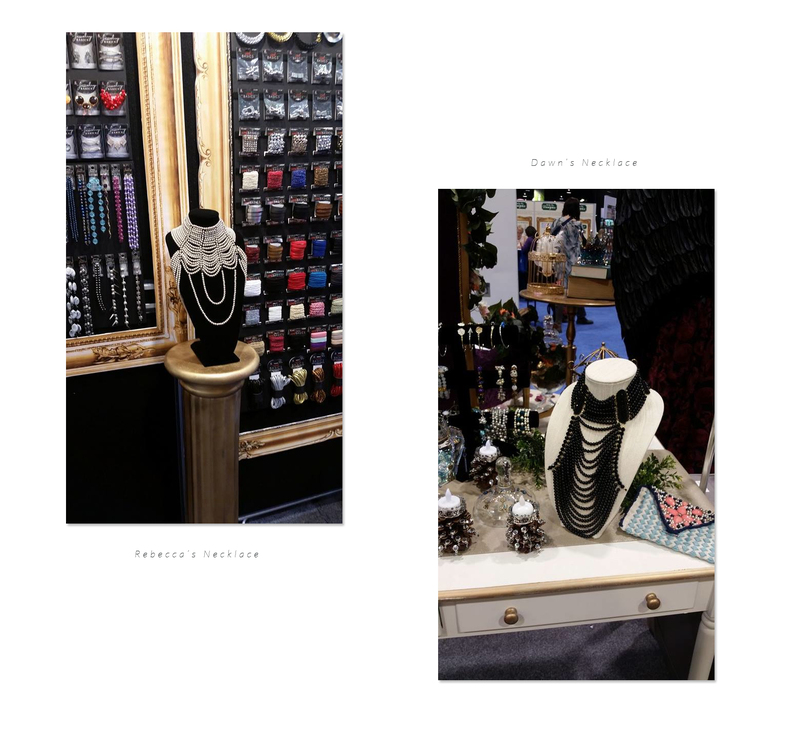 Below is Dawn’s creation (black necklace), and fellow ambassador Rebecca of My Girlish Whims’ (white necklace) creation. 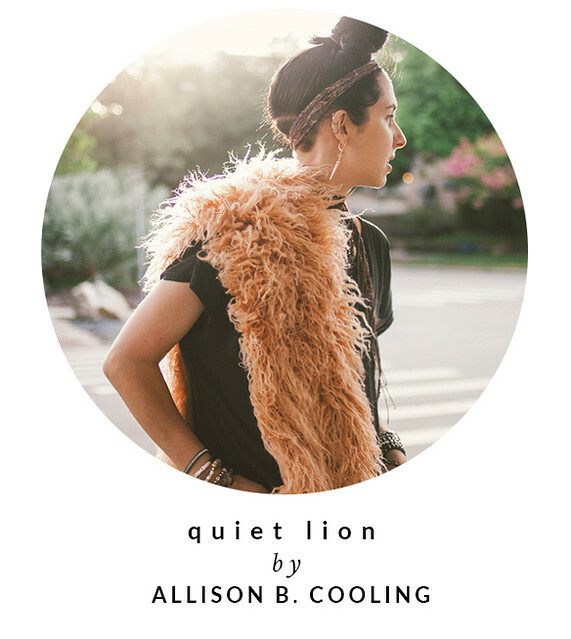 This is Part I of my post; the editorial I shot is coming soon, so you can see this on a live person. Believe me, you won’t want to miss it! All photos copyright Allison Beth Cooling. DO NOT USE OR POST PHOTOS WITHOUT linking and crediting me! Thanks!